I magnetise all my models so that they stick to the movement tray. The base of the model gets adhesive magnetic sheet - you can use rare earth magnets as an alternative - but you need something to "stick" to. You can use other magnets but that can get fiddly and also can create a bond that is too strong (you end up snapping models or pulling them off their base). 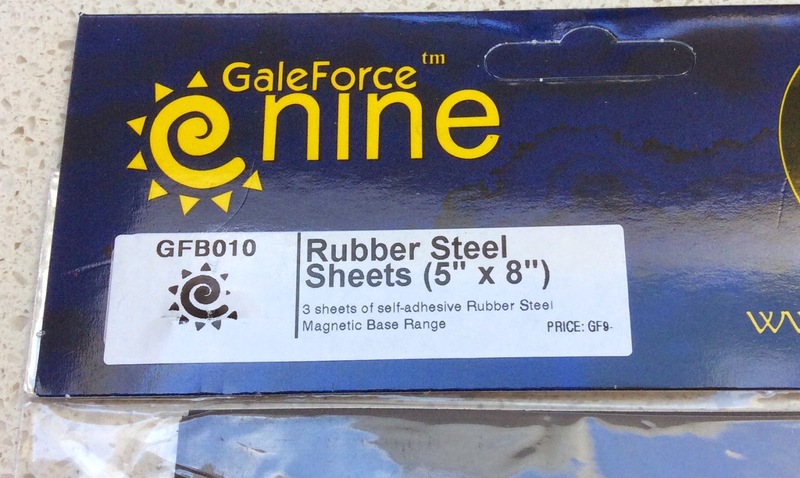 The product I've found best to line your movement tray is Rubber Steel Sheet from GF9. This comes in packs of three sheets 5" x 8" for USD 9.99. Battlefront NZ used to sell it but now you get it from their UK warehouse. All up with postage three packs cost me NZD50.00. 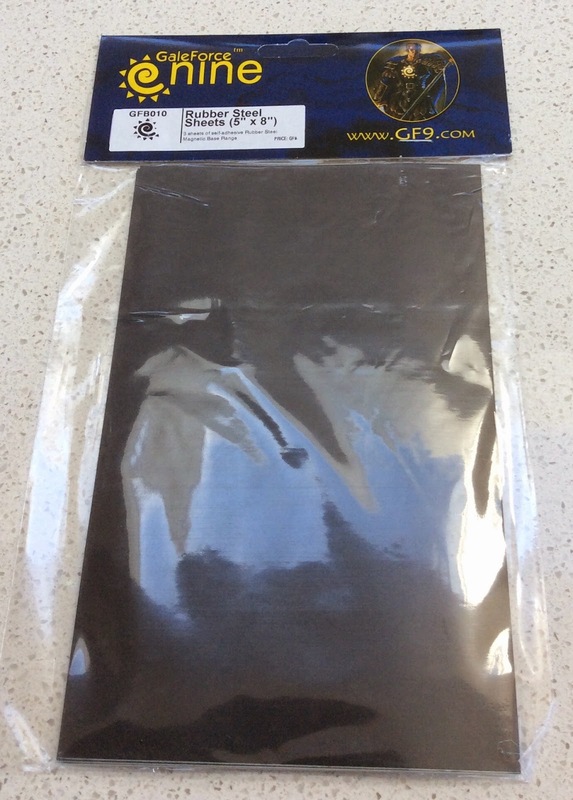 It is adhesive and can be cut with scissors so it is very workable. Transit from the UK was less than a week. For those on a budget you can also go to a shop that makes fridge magnets. I've "bought" off cuts for free from the local shop in Masterton and paid $10 when the owner served the next time. Each time it was about half a metre by 15cm. Another alternative is fridge magnets. You can tear the paper bit off quite easily. My school does some for parents of term dates so I can always pick up some for free. It was great when they printed a whole batch with the wrong dates on! Absolutely the best thing you can do to spend more time gaming and less time reranking units. I also magentise my movement trays to a magnetic whiteboard for transport.